Royal poinciana tree with red blooms and seed pods. 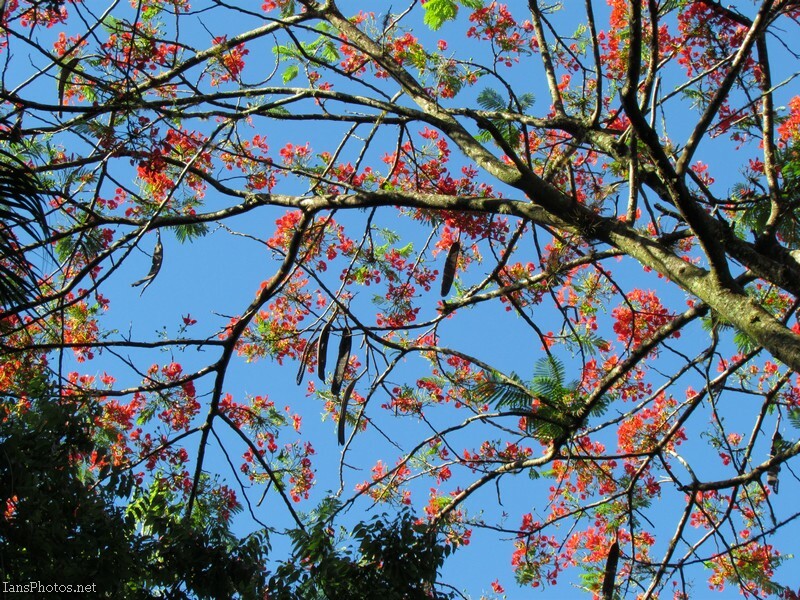 One of my favorite trees, the royal poinciana blooms during the summer months and has beautiful showy red flowers. I see the blooms mostly when I’m driving but whenever I get the chance I stop to capture a few photos. Royal poinciana grow into big trees and can be started from the seeds inside of the pods. This tree is a common site in Abaco Bahamas and also in many parts of south west Florida. If you decide you want one in your yard they do make a lot of mess and can have big roots once they grow bigger. But in my opinion the beauty of the tree is worth the effort. Thank you for viewing my photography.